Finally, my muse turns up. She has some fantastic inspiration to give me, and we’re making real progress on our current writing project. The hours fly by. Words come easily. Writing should always be like this! And then, my muse tells me to stop. For the last few months worth of Insecure Writer’s Support Group posts, I’ve been turning the floor over to my muse so that she can tell us about her mystical world of imaginary things. So today, I thought I’d ask her: what’s the deal? Why do I have to stop writing just when things are going so well? Hello. I’m James’s muse. That means it’s my job to give James that tiny flash of inspiration he needs to start writing. But a good muse (and I like to believe I’m a good muse) concerns herself with more than just writing. She must remain mindful of her writer’s happiness, health, and general well-being. And that means signaling to our writers when it’s okay to stop. My writer obsesses over writing schedules, looming deadlines, and word count quotas. As a result, he suffers terrible anxiety whenever he doesn’t live up to his own lofty expectations. He argues with me, telling me I don’t understand the pressure he’s under—whatever that means. But last week, my writer ran into trouble finishing a blog post for his Solar System series. He wanted to just plow through it. He thought he knew how to fix it. But I told him to relax, and for once, he listened! As a result, the blog post came out a day behind schedule, but it ended up being one of the best in the whole series (at least in my writer’s opinion). Creativity only grows in the right environment, and it won’t grow in the mind of a fatigued and frustrated writer. That’s why responsible muses must tell their writers to take breaks, eat nutritious meals, and get a full night’s sleep. If you or your muse found today’s post helpful, please let us know in the comments below. 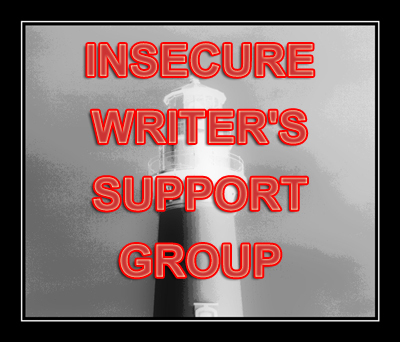 Today’s post is part of the Insecure Writer’s Support Group, a blog hop hosted by Alex J. Cavanaugh. Click here for more information about I.W.S.G. and to see a full list of participating blogs. Posted by J.S. Pailly on April 1, 2015 in IWSG, Muse Chat. I Should join that group! It’s helping you for sure. It is a pretty amazing group. The first Wednesday of the month, I always feel like I have a little extra pep in my step. Hi, JS! You nailed an important point! I’m not very good at taking those creative breaks, so this was good for me to read! Thanks for sharing! I’m visiting your blog today as an IWSG co-host. It’s such fun to discover new blogs by fellow members! You can draw too, you lucky person! Have a good one! Thanks for co-hosting today! I really appreciate your visit. I can’t tell you how much IWSG means to me. PS, James. I’m computer challenged, so I couldn’t figure out how to follow you, but I’ve added you to my blog reading list, so I can enjoy more of your posts! I’m not 100% convinced. I think sometimes my muse is just being lazy. I never knew Hemmingway said that. I bet my muse would have gotten along with him well. My muse and I really dig that drawing! So, your muse wears black high-heeled boots? Mine likes to wear pajamas or sports uniforms. That IS good Hemingway advice above. I also read something about writing scenes that we WANT to write. If something bores us when we’re writing, it will probably bore the reader too, and we shouldn’t be writing it. I feel the same way. If I don’t want to write something, that will probably be obvious to the reader. Thanks. Now if only I listened to her more often. I think we all have that problem! I should sign up for that group. Awesome inspiration James. Sometimes I ignore my little voice and let my cyborg energies take over. I think because I get so immersed in sci-fi, I forget I’m human. Don’t forget, my friend: even Commander Data wrote poetry. Often, just as I’m falling asleep, I’ll think of a solution to a problem in my story or just the right word. It happens so often that I’ve even gone through the motions to take a nap in order to nab a word or scene I need as it wells up from my unconscious. I’ve done that too. Naps can make pretty good writing exercises.